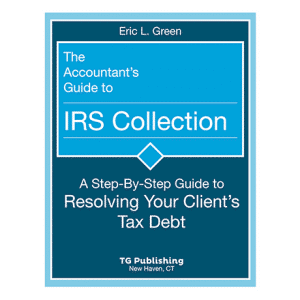 Attorney Eric Green is a tax attorney and the founder of a boutique tax law firm with offices in Connecticut and New York. He is a national speaker, a columnist for the Journal of Tax Practice & Procedure, and a pundit on everything IRS Enforcement. 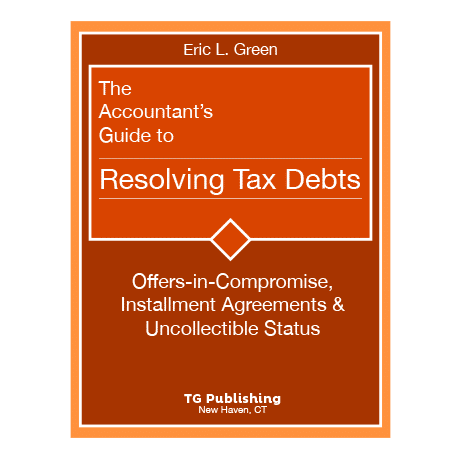 This guide will walk you – the tax practitioner – through the variations of installment agreements and offers, so that you, too, can start the process of becoming a tax resolution master. The area of taxpayer representation continues to grow despite IRS cutbacks. Currently there are more that 14 million taxpayer accounts in the Collection Division’s inventory. 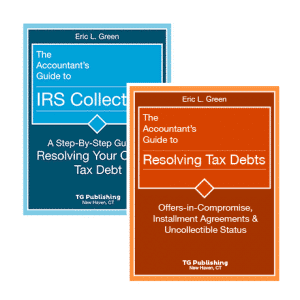 The need for practitioners who can help taxpayers through the process and resolve their tax issue has never been greater. 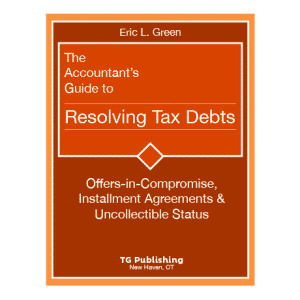 This guide will explain in detail how to resolve the taxpayer’s outstanding tax debt.